Your windows need the attention of a local window company who knows Leawood homes. Here at Renewal by Andersen® of Kansas City, we are deeply experienced in the installation of windows and patio doors in Leawood, using top quality Renewal® products to greatly improve the homes in our neighborhood. For more than a century Andersen® has been crafting the highest quality windows in the United States, constantly advancing the materials and techniques they use in the manufacturing process. The result is a line of replacement windows that outperforms and outlasts all other windows on the market. And as the local representative of the national Renewal® brand here in Leawood, Renewal by Andersen® of Kansas City is your exclusive local source for these top of the line windows. We are also your source for Renewal’s® line of superior strength French and Sliding patio doors. These elegantly designed doors use the same advanced materials as Renewal® windows to increase the energy efficiency of your home while decreasing the amount of time and energy spent on maintenance. Here at Renewal by Andersen® of Kansas City we understand that one of your main concerns will be the cost of replacement windows. Replacing both your windows and patio doors is an investment, and one that should be made with a company that has your best interests at heart. When you choose to work with us, we will deliver a valuable return on your investment and protect it with the industry’s leading warranties for windows and doors. 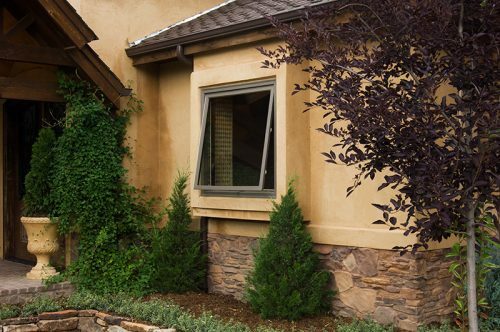 To see our full selection of Renewal® replacement windows and to schedule your FREE in-home consultation with our Leawood window experts, call Renewal by Andersen® of Kansas City or Request an Estimate today! For a window replacement project you can trust, you need a contractor you can trust. In Leawood, that contractor is Renewal by Andersen® of Kansas City. Call us today at 913-385-1300 for a FREE in-home consultation with our home improvement experts.